People often ask us if it is true that the famous Lactobacillus Bulgaricus bacterium is found only in Bulgaria and is it why you can’t really get a good Bulgarian yogurt outside of Bulgaria. It is true that in order to make genuine Bulgarian yogurt you need either a batch of genuine Bulgarian yogurt or a genuine Bulgarian yogurt starter. Scientifically speaking, there are two strains in the Bulgarian yogurt starter – lactobacillus bulgaricus and streptococcus thermophilus. And indeed, you can grow these strains in any laboratory, anywhere the world. In fact both strains are present in many commercial yogurts out there. There are even Bulgarian style yogurts that are made with ONLY these two strains, because that’s how it should be for Bulgarian yogurts. Then how come those yogurts taste nothing like the genuine classic Bulgarian yogurt made with Bulgarian made yogurt starter? Simply — because the two strains have not originated in Bulgaria. We source our lactic acid bacteria from natural sources in ecologically preserved areas in Bulgaria. And that is what matters. The uniqueness of the original strain comes from its qualities, which gets preserved from generation to generation. The thing is that if you are not in the geographical vicinity of Bulgaria, your strains will likely mutate a bit with each new generation. You’d notice how after two-three batches, the yogurt starts tasting a bit differently. And the further you go the more distant from the original unique taste it goes. Its physical appearance and qualities change. Why this happens? Scientists are not sure. It is often contributed to the unique climate indigenous to the Bulgarian region but I’m sure there’s more to it. So, you’d ask, how can you make real Bulgarian yogurt when you are not in Bulgaria? The answer is simple – use Bacillus Bulgaricus. Bacillus Bulgaricus is a freeze-dried yogurt starter culture with live Lactobacillus Bulgaricus that was produced in Bulgaria. It’s a heirloom culture so you can use your previous batch to culture your new one. Then freshen it up with new original culture every time when you notice that the yogurt had changed in taste in appearance, getting you back to the perfect tasting and healthy classic original Bulgarian yogurt. Or if you already have some and you need the yogurt making instructions, check here. 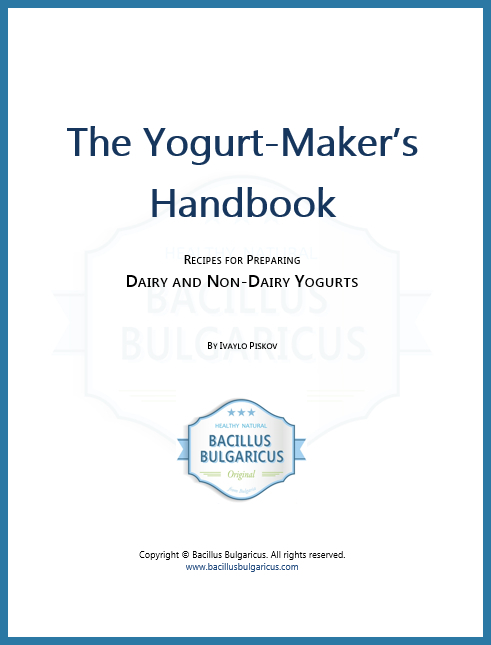 This entry was posted in Bulgarian Yogurt and tagged Bacillus Bulgaricus, Bulgarian yogurt, how to make Bulgarian yogurt, Lactobacillus Bulgaricus. How is our yogurt starter different than the others?